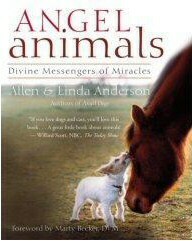 Over the years since Allen and Linda Anderson founded the Angel Animals Network in 1996, thousands have shared with the couple true stories ofthe devotion, love, and miracles that animals bring into people’s lives. The Andersons’ classic first book, Angel Animals, includes amazing stories and has now been reissued as a gift book with photographs. Angel Animals includes illustrations by Julie Johnson Olson (her clients include Oprah Winfrey’s book with Bob Greene) and a foreword by ABC’s Good Morning America’s resident veterinarian, Dr. Marty Becker, DVM. 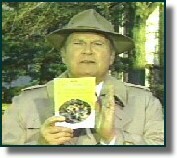 Willard Scott recommended Angel Animals to viewers of NBC’s The Today Show, making the book into an Amazon.com and Barnes & Noble best-seller. Angel Animals is a collection of inspiring stories that spotlight the spiritual lessons and experiences people have when animals grace their lives. Dogs, cats, horses, rabbits, raccoons, bears, birds, dolphins, elephants, and more show how to recognize the interconnectedness of all life, rise to challenges, and find comfort in the face of loss. These stories illuminate the gifts that are all around when animals become messengers for the Divine to bring healings, blessings, and answers to prayers. Angel Animals reminds us all that we are loved -- and that miracles are possible. “An insightful, joy-filled, andexquisitely written book." "Angel Animals explores the spiritual connection between animals and people, which is something that we should all learn about." "These stories show the beautiful and undeniable spiritual connection between people and animals." "Fans of the 'Chicken Soup...' series will appreciate this book. It's a warm-fuzzy for those who have experienced a close human-animal bond." This best-selling classic with a foreword by Good Morning America’s resident veterinarian, Dr. Marty Becker, pioneered the Angel Animals series, and Willard Scott recommended its amazing stories on The Today Show in 1999. A beautiful, reissued gift book with photos, illustrations, and a new preface by the authors. "This is a lovely book gift idea! It is called Angel Animals by Allen and Linda Anderson. If you love dogs and cats, you’ll love this book . . . a great book about animals!" Click HERE to view a video of Willard Scott talking about Angel Animals while doing his segment on The Today Show. "Angel Animals says it all on our love and need for animals in our lives."